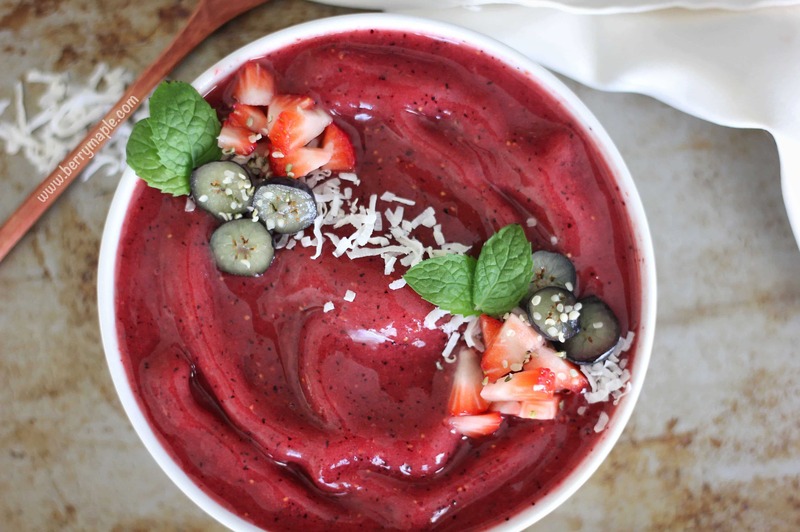 I just love this blueberry smoothie bowl. Making smoothie bowls it’s not just a way to prepare a healthy vitamins filled delicious breakfast , but also a chance to use your creativity and art skills. Use juicy fruits and berries to top your dish, bright flowers and mint leaves, a variety of nuts and seeds (pistachios and shredded coconut are one of my favorite toppings). 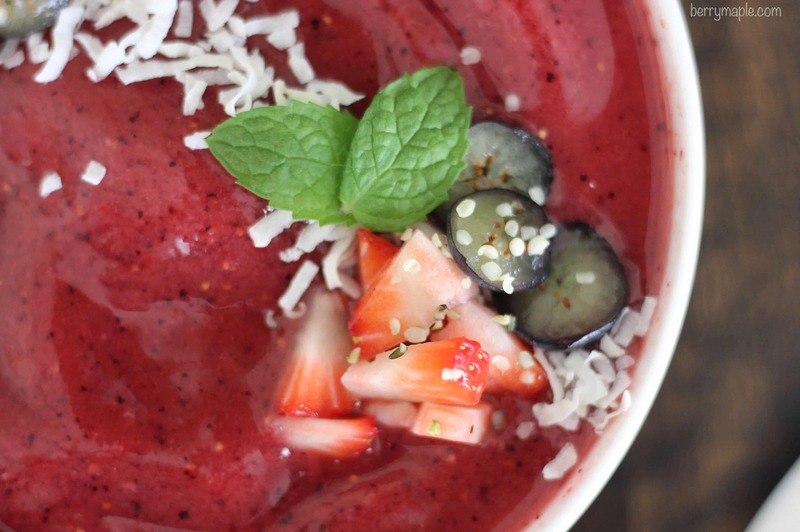 You want your smoothie bowl to be thick, so make sure you use at least one ingredient frozen. Here is a little trick for your bananas- before freezing, peel and cut them, and spread them in one layer evenly in your zip lock bag. After they are frozen solid, you can push them all into one corner of the bag without worrying that they will stick together. 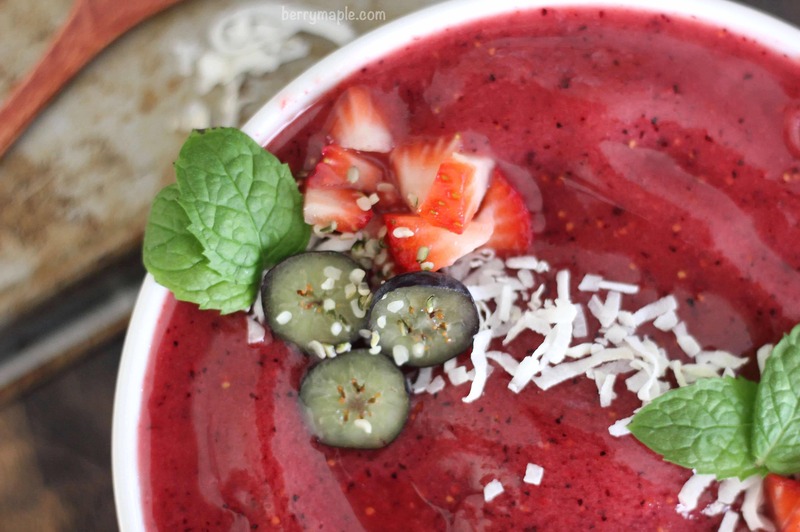 Try this delicious smoothie bowl that is full of fiber and healthy fats! 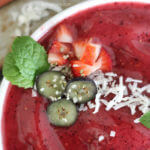 Enjoy your delicious smoothie bowl!